We provide Plumbing services in London, no job is too big or small. 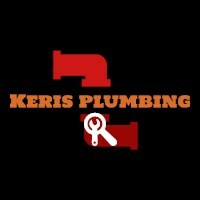 We at keris plumbing are a team of 2 (father and son) with over 20 years experience in the plumbing industry in the United Kingdom and Greece. We work in the most efficient way, making the cost more affordable for you. We aim to always deliver the finest service possible. We belive honesty is the best policy with our customers and will only give the best advice in every situation. If you have any questions, please don't hesitate to call. We will be happy to help and look forward to working with you.